Meet the Member – Ryan Smith of Niagara, N.Y.
Are Our Qualifications Worth the Paper They are Written on? Van Crime – How Can We Protect Our Vehicles? What’s Going On With Our Gypsum? Van and Tool Security, How You Can Help to Drive Change. Looking at Additional Van Security? Take a Look at WolfElec Deadbolt Kits. illbruck Multi-Use Adhesive – What’s In Your Van? uWatch – Keeping an Eye on Your Tools!!! Welcome to the shiny new Builders’ Talk Group™️ Website!!! Builders’ Talk Group™️ is the only trade group run by builders, for builders. Started with Plasterers’ Talk and Builders’ Talk in 2014, the groups have provided support, forged friendships, raised money for worthy causes, provided masses of advice, information and a bit of banter to all in the trades. The Facebook Groups are truly amazing but it can be difficult to access the information you want. So came the idea for the BTG Website, a place where we can display the information that you need to find quickly, whatever your trade. We also have a BTG classifieds area, so you can sell unwanted items, offer work available or even look for work in your area. We want you to enjoy the site and have a good look around the features and news for the trades. To fully access the site you need to login as a member, either through your Facebook profile, or through our site login/register page, then you can gain free access to all the trade news, blogs and features we have for you. Our site is free for you to enjoy. Your details will always be private; BTG will never sell your information to third parties. Click on any of the Group tabs to have a look through all the pages, this site is for you, the members and it’s bursting with loads of features and articles for you to enjoy. As the website grows we will be able to add more features for you to use as well as sharing information and opportunities to make the industry better for you. If you have any suggestions, or comments, please feel free to get in touch with us, either through our contact page or at [email protected]. We really hope you enjoy using the website!!! Income Protection? Ask Simply Insure!!! Van Crime – Is Anywhere Safe? Fristads Workwear Range, BTG Reviews! Fristads Workwear Range for Women, BTG Reviews! 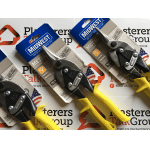 Marshalltown Permaflex…..How Does it Compare to other Flex Trowels? Resin Bound Surfacing, from Rhino Surfacing Solutions Ltd.
Self Employment, What’s it like? John Blyth from BTG knows…. This is a man’s world…..or is it? A Woman in a ‘Mans’ World! Builders’ Talk Group™️ Website Launch Comp!!!! !